I just thought of something. After watching The Zeta Project, I did research to discover that Zeta isn't actually a character from the DC comics and that he was made up as well as all the other characters. The show still got to be a part of the DC universe and characters appeared in it such as Bruce Wayne, Terry McGinnis, Edgar Mandragora, and Bombshell. DC Comics started a reboot of the Jetsons' series in a comic book, so what if DC characters were to be introduced in SWAT Kats? 3. The Flash (Already explained why he should appear. He should also be Barry Allen. It'd be like Batman Unlimited since it's set in the future. 4. Ra's Al Ghul & The League of Assassins (they would be hunting down Dark Kat since it would be revealed that Dark Kat trained with them before and was good friends with Ra's until there was a fallout between the two of them. That would also explain where the Ninja Kats came from in Razor's Edge. 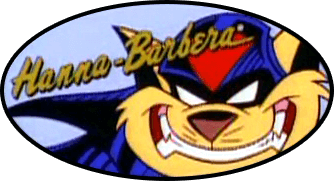 It would also make Dark Kat a bit like Damian Dhark from Arrow and Count Vertigo from Batman The Animated Series. 6. Blue Beetle (Kord Industries in Arrow is like the company PumaDyne to be honest. 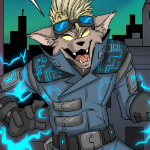 So what if Ted appeared as a citizen of MegaKat City and became inspired by the SWAT Kats to become a vigilante. He would be like Ray Palmer and I bet he and Razor would have a bromance like Ray and Cisco on The Flash. 2. Would these be human or kat versions of the DC characters? 3. I wouldn't mind seeing the SWAT Kats meet DC's own cartoon animal superheroes, Captain Carrot and His Amazing Zoo Crew! marklungo wrote: 3. I wouldn't mind seeing the SWAT Kats meet DC's own cartoon animal superheroes, Captain Carrot and His Amazing Zoo Crew! Ah I LOVED Captain Carrot and the Zoo Crew XD I had a couple of those comics. Really? I'd love to see your take on those characters. I have nothing to add except that I hate this name. Reverse Flash isn't a villain name, it's just "Flash" with "Reverse" added to it. Whatever happened to "Professor Zoom?" It may not be the best villain name, but it has a modicum of creativity (moreso than "Reverse Flash," anyway). I'm suddenly having flashbacks to a certain Power Rangers fan who would post crud on the Facebook group we once had. Wow! I didn't expect you to take me up on my offer, let alone so fast! Awesome sketch, too. Now I really want to see you draw the rest of the Crew! Thanks, Cindy!